Playing with trains is something a whole lot of people enjoy. This is obvious by the amount of train games that are out there. 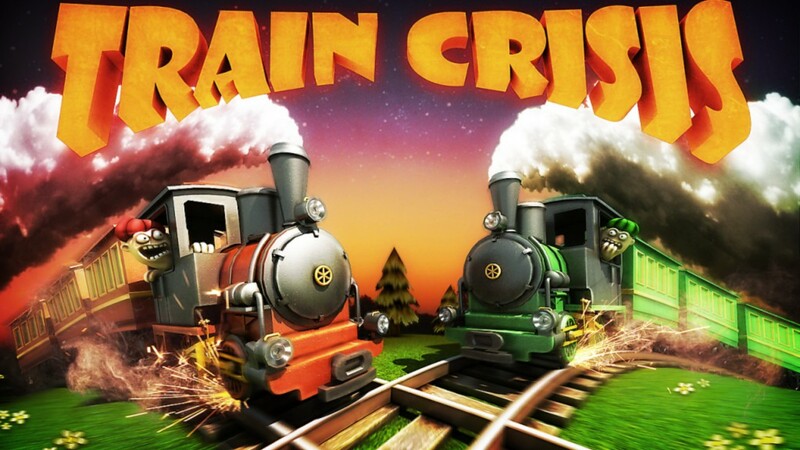 Train Crisis is one of those games that can make you feel like a little kid who enjoys playing with trains again but also make you rage because you can’t finish that one level. The game has been out for a while on iOS and Android but was recently released on PC. Train Crisis was developed and published by U-Play Online. We were lucky to test this game and let our inner train lover out. There isn’t an extensive story present in Train Crisis. Different eras are in trouble and they need somebody to take control of the railways. You go through each era and try to lead everything back on track. The first era you have to try and save is the industrial era where they tried to evolve too fast and the tracks became a mess. Adjusting the tracks and using lights to time trains is the only thing you can do this era. Once you finish an era and start another, different elements are added that you have to keep watch on. There are four eras in total, the previous mentioned Industrial era, the Far West, the Modern era and the Future. It’s quite obvious that Train Crisis went from tablet game to pc. They didn’t actually change much about the look of the game and the graphics aren’t that overly futuristic. 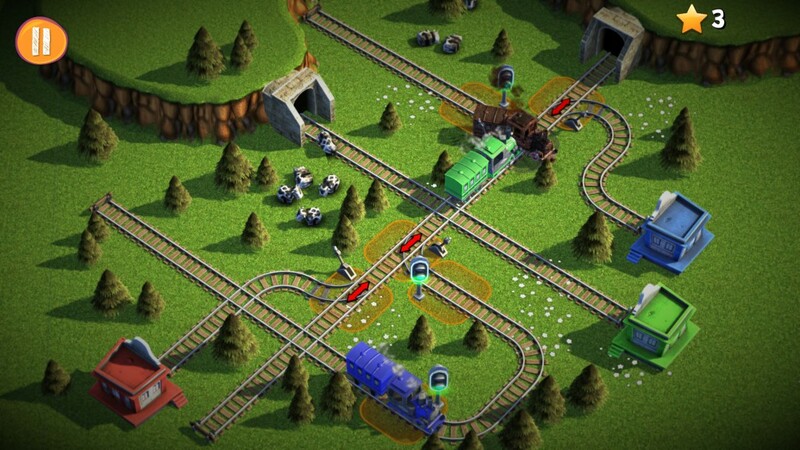 The trains stand out the most as they are better detailed and more refined than the rest of the graphics. Although there are different eras with different designs of backgrounds, it takes a while before you can access them. Which means you get backgrounds which are mostly the same in the same era for a while. It might have been better to grant access to a different era a little earlier to be able to get a change of scenery. When you start a level the game also still says “tap to start” which obviously betrays the origin of the game. The music in Train Crisis is upbeat and cheerful. It fits in perfectly with the casual puzzle-esque theme. When you crash the trains or they end up at the wrong station a little tune plays to make you feel even worse about failing. There is no voice acting present in the game. It might have been nice to have someone read out the introduction to the game and the instructions but it isn’t really necessary. Sound effects in Train Crisis are obviously mostly train related. Besides the train sounds, there aren’t that many sound effects present besides the warning when a stopping point is about to end or the clanging from the track change. Although the crash sound is quite spectacular that is one of the sounds you don’t want to hear. 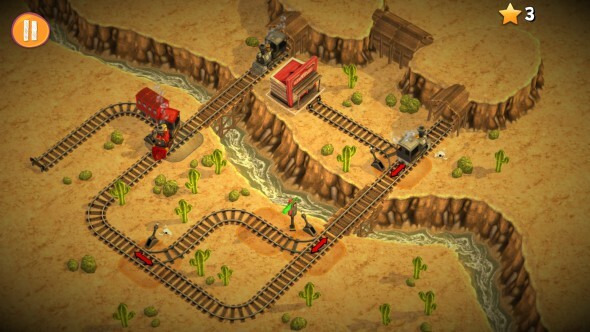 Train Crisis is a casual puzzle-esque indie game where you take control of the railways in different eras. It’s your job to make sure trains don’t crash or end up at the wrong station. There are different colored trains and stations in the same color as the trains. Each train needs to end up at the station with the same color. Of course, this isn’t the only thing you need to worry about since there are multiple trains, they can crash into each other or crash when the tracks aren’t positioned in the right direction. To make sure that they don’t crash you need to keep an eye on all of them and figure out a way for them to arrive at the correct station. 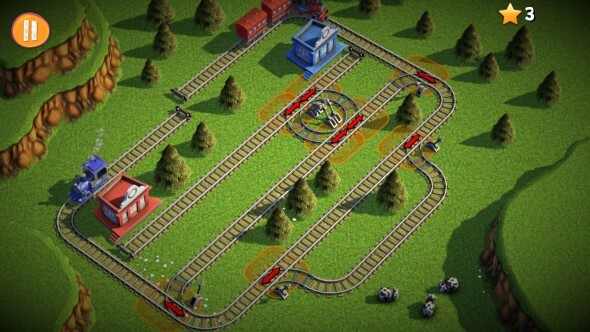 Besides changing tracks, you can also make trains stop at lights/stopping points to let other trains pass first. 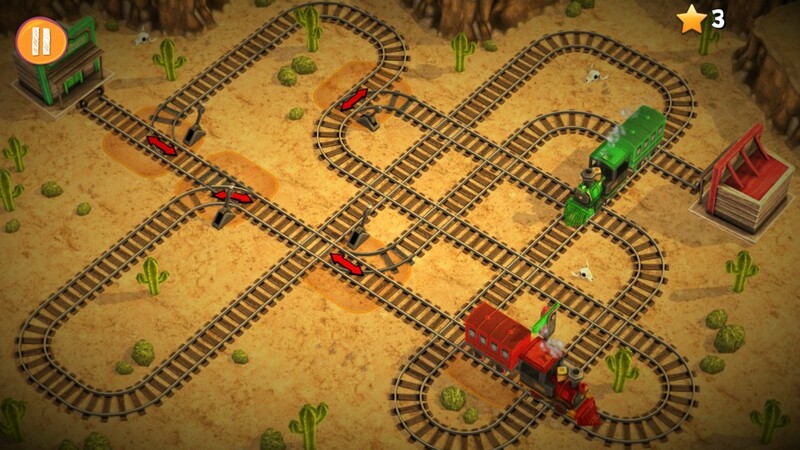 The way you control the tracks and other objects are obviously designed for touch and can get a bit wonky. Each interactive object has an orange square around it that, you have to click on the square to make that object do something like for example change the track direction. Sadly, the hitbox sometimes doesn’t register you clicking on it correctly. Which means you can accidentally click on the box next to it even though you didn’t mean to. This can be quite disastrous and end in a crash as you need correct timing to let trains pass correctly. Some levels require you to crash a couple times before you can figure out the timing or the correct path. There are always a few possible solutions but if you click too many orange squares you get fewer stars as a reward, three stars being the max. These stars are necessary to unlock certain levels. Tunnels are also present in the game and they add an extra difficulty. When there are multiple tunnels you can’t see which entrance connects to which exit. Some tunnels even cross paths so it’s totally possible to crash trains into one another while inside a tunnel. There is even a level with 8 different tunnels where you need to test every single one to see where they end up. Once you finish an era you can go to the next one. In the industrial era you only have tracks and lights you can control but once you start the Far West era, other elements are added. In the Far West, you have to collect money from banks, avoid ghost trains and blow up rocks with dynamite. Blowing up rocks with dynamite takes a bit of strategy since you only have a limited amount of dynamite. There can be multiple heaps of rocks blocking paths so you have to figure out the right path first. In other eras, the extra elements are a bit similar. In the modern era, you have to pick up passengers, play with faster trains and close barriers for cars. The future era has different heights of tracks, boosters, and teleporters instead of tunnels. If you find a level too difficult you can skip over it to another level. Although this can be handy if you’re stuck on one level there is a limited amount of time you can skip over since some levels require stars to be unlocked. This is a smart way from the developers to make sure you play enough of the levels and don’t skip over everything. Although it might have been better if they allowed you to unlock the next era sooner when you have enough stars instead of when you finish everything or when you have enough stars to unlock the last level of the previous era. Playing the same era for too long can get a bit boring since it’s mostly the same scenery. 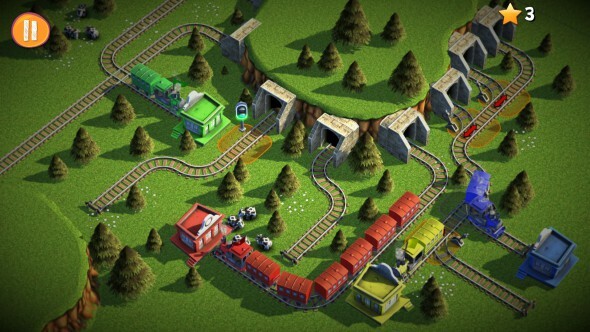 Train Crisis is a pretty fun game that requires a bit of timing and strategy. It is quite obvious that the game started out on Android and iOS. The game might also be easier to play by touching instead of with a mouse since the hitboxes of the orange squares are a bit buggy sometimes. Some people are also a bit faster with touching instead of moving a mouse and clicking but for people that like to play games on a bigger screen, this might be a bit better. So if you like trains and don’t mind a bit of puzzling or you’re looking for a casual game that makes you use your brain then give this game a try.